Morocco regretted, on Wednesday, the Algerian authorities’ recourse, again, to unjustified arguments or prerequisites to keep the status quo, delay the re-opening of frontiers between the two countries and perpetuate an unusual and exceptional situation in the world which seriously hampers the right to free movement for the two countries’ populations. 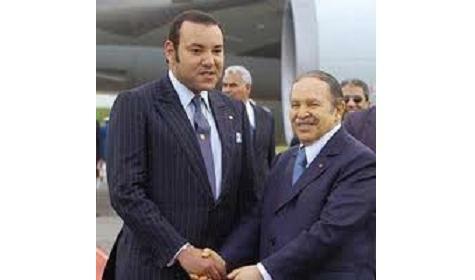 “The Kingdom of Morocco, away from any current issue or artificial alibi, remains committed, strongly and truly, to real normalization of bilateral relations to the benefit of the two brotherly peoples,” said a statement by the Foreign Ministry in response to recent statements by Algerian Premier, Ahmed Ouyahia, on the closed land borders. The statement recalls that, during a press conference held on May 29, the Algerian Prime Minister tackled ties between Morocco and Algeria and the issue of the closed land borders. Describing as startling, on more than one account, the content and timing Ahmed Ouyahia’s statement, the Foreign Ministry’s statement recalls that no Moroccan official has brought up the role of Algeria in facilitating the recruitment or transit of mercenaries to Libya. In fact, even if many members of the Libyan opposition and international media outlets held Algeria responsible for this problem, the Moroccan officials have refrained from commenting on this matter. All that the Maghreb Arab Press Agency (MAP), expressly cited by the Algerian Prime Minister, did was reporting the different statements, stances and analysis related to this issue. Like other press agencies, TV channels and websites, MAP only echoed pieces of information or statements while observing the professional code of ethics by citing the sources whether they are political, journalistic, academic, European, African or America. The observer is entitled to ask the question why MAP was targeted and singled out, because of a matter about which much has been said at the international level, to justify the closing of frontiers with Morocco. The statement added that Morocco was quite surprised as bilateral bonds witnessed a promising progress over the past few months thanks to the exchange of fruitful ministerial visits. It is legitimate to question the advantage of promoting informal trade exchanges between the two countries while the frontiers are still closed. This fact is puzzling considering the risks and all forms of trafficking caused by informal economy, in addition to the heavy fiscal losses suffered by both countries.